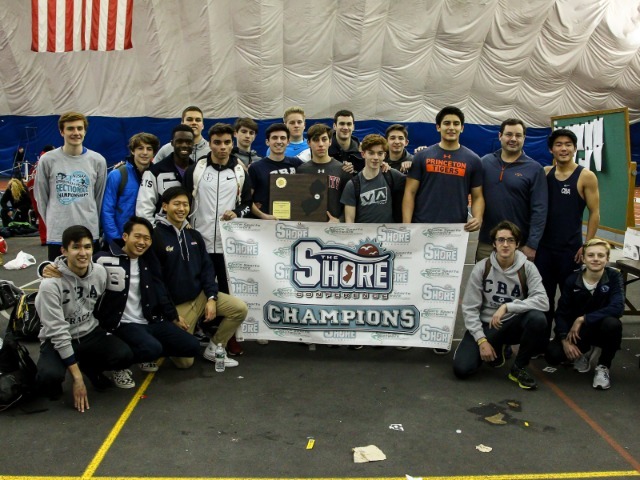 A week after winning their 28th NJSIAA State Relay title, CBA Indoor Track captured their 24th Shore Conference Championship on Friday night. The Colts won the Shore Conference by 26 points over second place Freehold Township, pushing their conference title winning streak to nine straight. Christian Brothers finished in the top-three in six different events, including wins in the 4x400 relay and the shot put (senior Nick Morse). On January 17th, CBA won their fifth consecutive state relays by 20 points over Union Catholic. The state relays were highlighted by first place finishes in the sprint medley relay, distance medley relay and the shot put. The Colts were runners-up in four more events. CBA now has three weeks before the overall state championship on February 16th, with a few warm-up events in between.